As I understand the way Hunt of the Ancients (HotA) zones work in Wurm Online, the whole point is to capture four points. If you like that sort of thing in your PvP battles, then you’re very likely going to love the new stuff that’s been added in the latest patch. 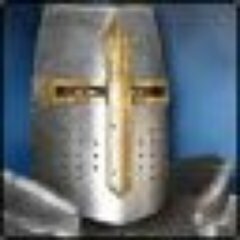 HotA zones will now also have neutral Battle Camps spawn within them. These spawn every 25 hours at random locations on the map and can be conquered with a right-click action that takes five minutes to resolve. Camps can be made neutral for capture by an opposing kingdom, but doing so takes an additional five minutes. The first kingdom to capture four of these Battle Camps will get a HotA Statue reward, and any kingdom that maintains control of a Battle Camp also can loot a moon metal lump every 24 hours. The current patch has also made a few adjustments to make the lives of fishermen in-game easier and has installed several bug fixes. All of those details, including some more information about how Battle Camps work, are in the patch notes.